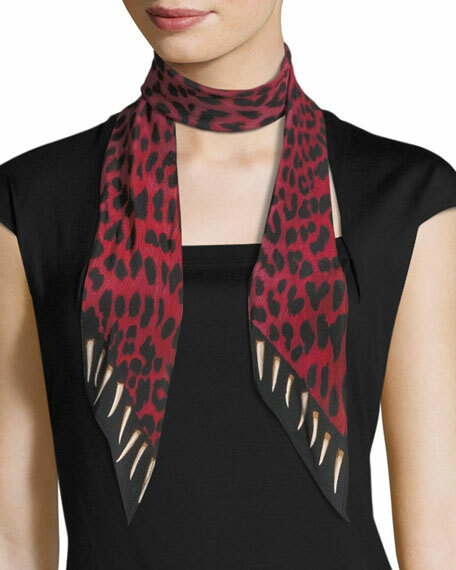 Rockins super skinny "Leopard Teeth" scarf in silk. Print features leopard and animal teeth pattern. For in-store inquiries, use sku #2340155. Rag & Bone scarf in leopard-print. Lightweight, seasonless fabric. May be styled multiple ways. Mohair/alpaca/nylon/silk. Imported. 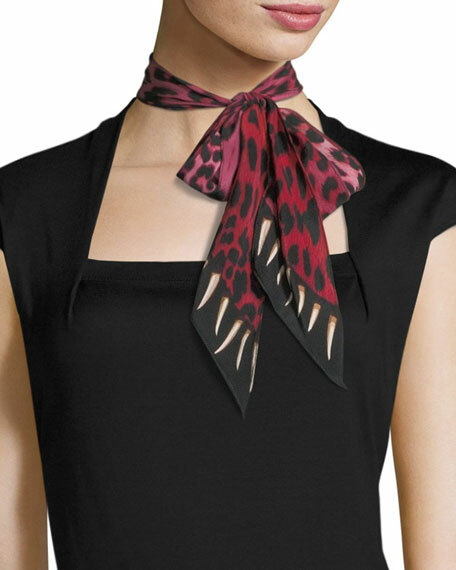 Saint Laurent scarf in leopard pattern. Lightweight, seasonless fabric. Approx. 52.6" square. May be styled multiple ways. Eyelash fringe finish. Cashmere/silk. Made in Italy. 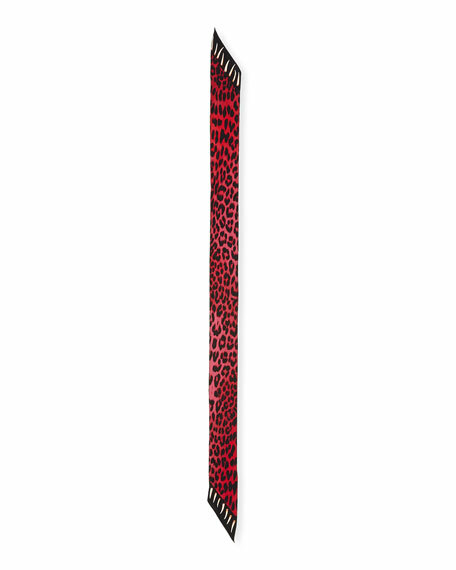 Zadig & Voltaire "Noe" scarf in leopard pattern. Lightweight, seasonless fabric. May be styled multiple ways. Fringe finish along edges. Cashmere/silk. Imported.